James Safechuck's testimony in Leaving Neverland starts online debate. 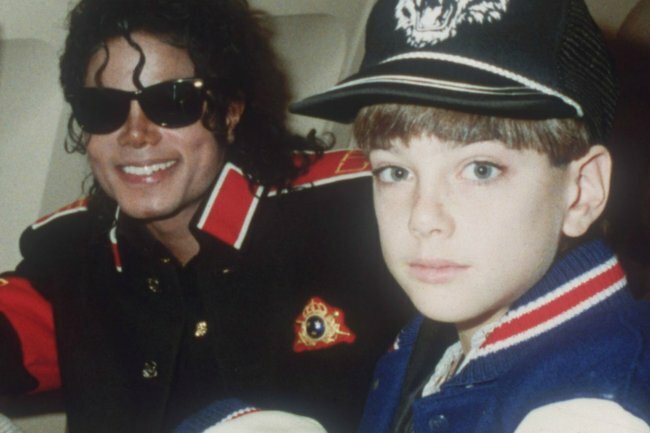 Why James Safechuck's testimony in Leaving Neverland has started an online debate. The man behind the documentary that has catapulted child sexual abuse allegations against Michael Jackson back into the spotlight, has been challenged on the dates cited by an alleged victim. One of Jackson’s biographers, Mike Smallcombe, confronted the director on Twitter, questioning the testimony of James Safechuck. James, 41, claims he was molested over several years by Jackson when he was a child. His allegations make up half of the documentary Leaving Neverland. Here is the trailer to the HBO documentary. Post continues after video. He details one incident of abuse that happened in an upstairs room at the train station, which was built at Neverland ranch. He says it was at some point between 1988 and 1992. Smallcombe produced construction permits for the building which say it was built in 1994, two years after Safechuck says the abuse at the hands of Jackson stopped. He has accused Reed of changing Safechuck’s timeline himself. “Firstly, I’m shocked that he’s spoken on Safechuck’s behalf. And secondly, it’s embarrassing that he feels he has to now change the narrative of the film – which is that the alleged abuse stopped in 1992 – all because part of it has been disproved,” he told Mirror Online. “That’s what happens when you take allegations like that at face value, and make no attempts to scrutinise and investigate whether they are true,” he continued. “By acknowledging the build date, Reed is essentially confirming that Safechuck’s claim of being abused in Neverland’s train station between 1988 and 1992 is impossible,” he added. Once the media picked up on the discrepancy, however, Reed clarified the details brought forward by Safechuck. "James was present at Neverland before and after the train station was built," he wrote. "In fact he took photos of the completed station which we included in the doc. And his sexual contact with Michael lasted into his teens. That&apos;s all in the film." Michael Jackson&apos;s estate have labelled the documentary a "character assassination" of the pop star, and a number of high profile people have continued to defend him. Of course, those who refuse to believe the stories about Michael Jackson have jumped firmly on Smallcombe&apos;s claim - arguing it provides proof of what they&apos;ve been saying all along. But one detail - about events that happened over 25 years ago - does not at all discredit the testimonies of Jackson&apos;s alleged victims. When recalling the details of any crime, let alone one that took place decades ago, police expect there to be some inconsistencies. Human memory is far from perfect, and is contaminated by new information, biases and even our own thoughts and retellings. In Leaving Neverland, Safechuck is joined by Australian-born Wade Robson who details similar instances and scenarios of abuse. The four-hour documentary is split into two parts. In the first, the two men detail the allegations in graphic detail. Where, when, how Michael Jackson allegedly abused them over a series of years, gaining their trust and love. In the second part, the fallout on their lives and families is explored - the men&apos;s partners, mothers and siblings talk about how Robson and Safechuck&apos;s years with Jackson changed them. The signs Michael Jackson was grooming the children he was so close to that so many missed. Michael Jackson gave James Safechuck a wedding ring. He was just 10-years-old.